There I said it. I need a vacation from my kid’s vacation. We had the opportunity to give notice to our pre-school in the Spring if we wanted any time off in the Summer. Hubby and I thought it would be great to keep the kid home on two separate weeks. Of course life happened and the first week didn’t turn out as expected. First off it rained every single day the kid was home. That’s right 10 days of rain in a row. We were able to sneak in some outdoor time here and there but it was limited. Secondly it was humid as all you know what. The kid is a hotbody, not like the hashtag with the half naked woman on social media, she gets overheated easily and hates to be hot. Needless to say this mama had to punt and make the best of the cards that were dealt to her. All in all the kid didn’t complain, obviously, but here’s to hoping that the rain stays away later in the summer when she has her second week of vacation. 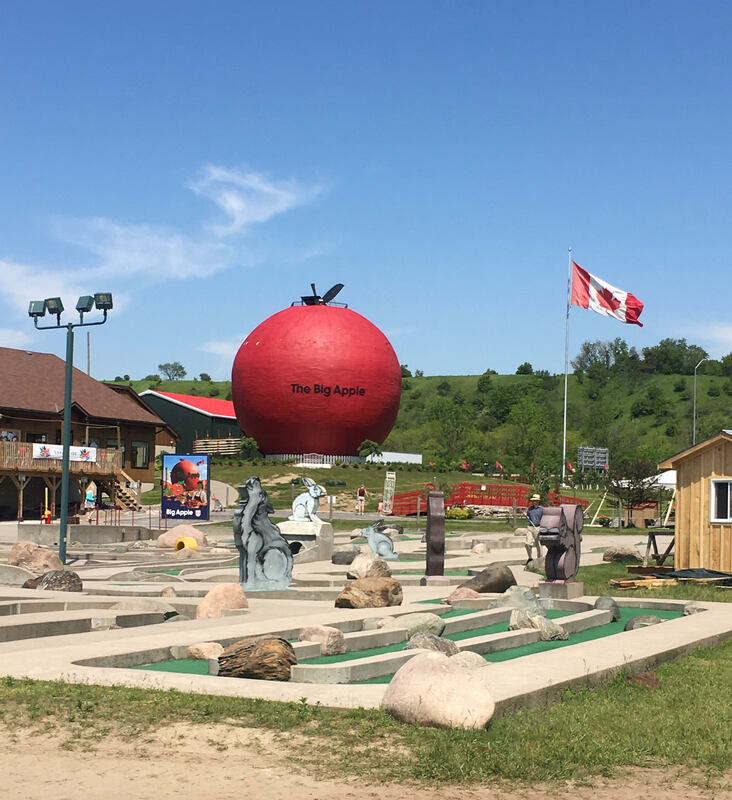 We were able to do some fun day trips including on to the Oshawa Zoo and Fun Farm, the local carnival, Whittamore’s Farm, our favourite Danforth Pizza House and of course the Big Apple. 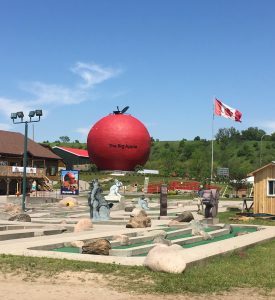 No my American friends I didn’t make it to Times Square but rather literally a big apple (see photos at end of post). Bottom line the important thing for her was to be able to get out and explore. 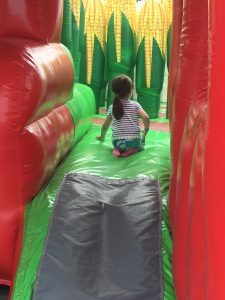 Whether that was at a new park we hadn’t visited ye, going to a carnival for the first, second and third time, feeding the animals at the zoo with her friends or building houses for the Paw Patrol pups while it poured outside. Thanks for a great week Miss K. Looking forward to many more adventures with you! 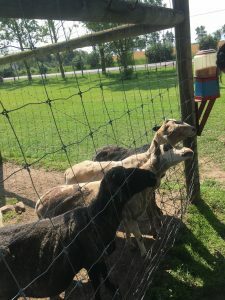 The sheep lining up to be fed at the Oshawas Zoo and Fun Farm. Waiting in line with her friend A to board the strawberry ride at the carnival. 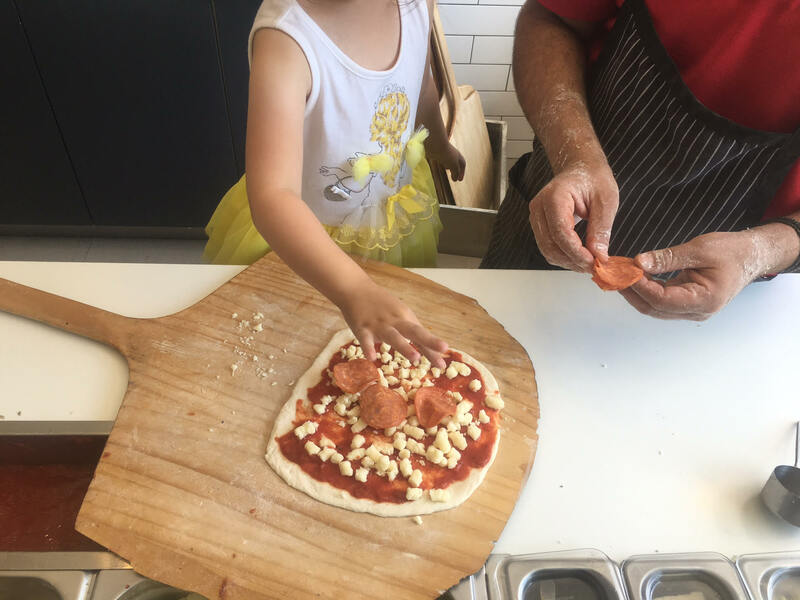 Making pizza at our favourite spot, Danforth Pizza House. First time in the corn jumpy castle at Whittamore’s Farm. 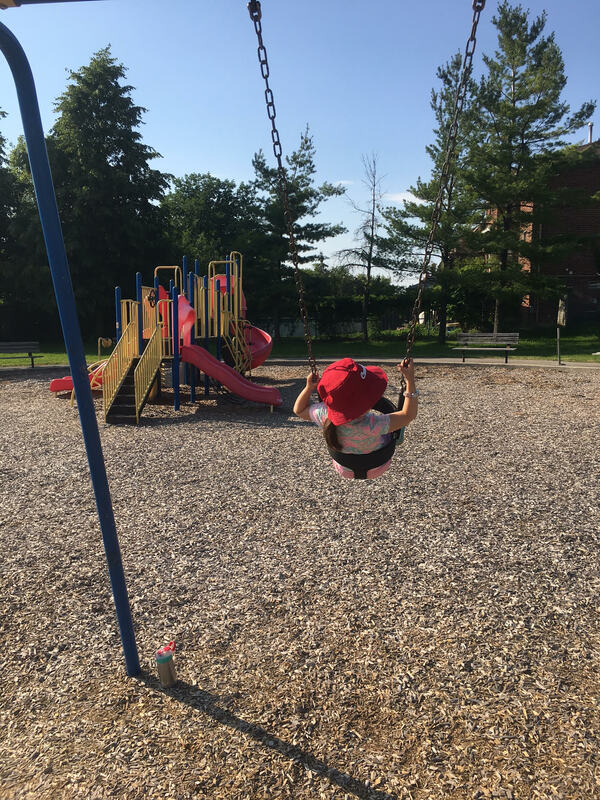 Swinging for days, she literally could sit there for hours. The Big Apple, this is as close as I’ll get for a while. I don’t want to be your friend anymore. 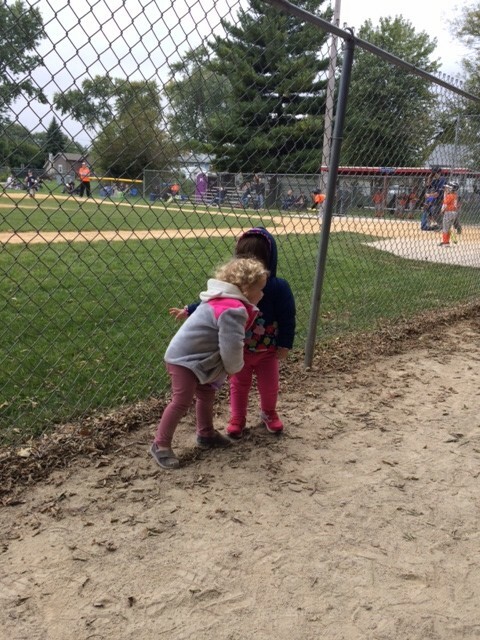 “I don’t want to be your friend anymore.” These words what were came out of the mouth of one of my child’s preschool classmates this morning. It completely caught me off guard and left me speechless. Honestly I didn’t think I’d have to deal with these words until a few years from now. My child looked at me with those big beautiful eyes of hers and asked me why did this person, not want to be her friend. Honestly it took all I had not to break down in tears in that classroom, hug her and just take her home. Of course I’m being a bit dramatic but it wasn’t far from the truth. I just looked at her and told her that maybe this child wanted to be friends with someone else today and that tomorrow they could be friends again. Did I handle it right? I have no idea. Did I do what I thought was best for my child in the moment…absolutely. This morning got me thinking that there are going to be so many things that we as parents are not prepared for our children to face. 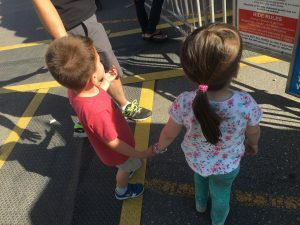 Their first ‘un-friending’, their first fall off of their bicycle, their first crush, their first dance, their first date, their first heartbreak, and I could go on and on. When I managed my team I used to tell them that they had to punt. When they were in a situation that they weren’t sure what to do, but were the ones in charge, they had to take all of their knowledge and make a decision. Would it be right, would it be wrong, we would only find out in the end. My sweet dear Miss K, this morning I punted. Fingers crossed it all turns out well. So lately the Drama Llamas have been out in full force. I don’t know if it has to do with it being winter and people are spending more time indoors or what it is, but I don’t have time for them in my life. All of the Drama Llama craziness has gotten me thinking about friendships versus acquaintances. When does someone change from being an acquaintance to a friend? Most of us are lucky if we can count our friends on one hand. Even luckier if we can use both. 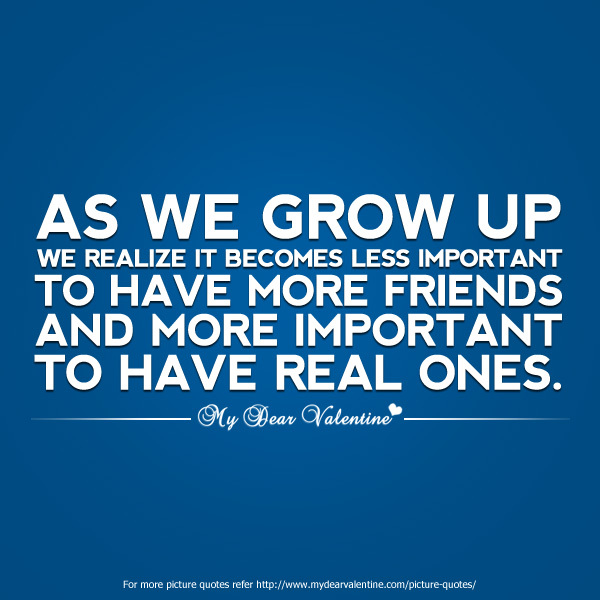 As the saying goes there are friends who come into your life for a reason, a season or a lifetime. Obviously I’m grateful for those who I interact with and come into my life but am very selective about who I allow into my tribe. I joked with a friend that I’m too old to go through the work. At this point in my life if it isn’t easy to hang out with someone, or if it becomes too much work, I’m out. We all have lives, we all have our own problems, who wants to have to take on the problems of others? Obviously we do for our close friends and family but what about these acquaintances who try so hard to wiggle their way in? I think you have to stand your ground. It takes work to maintain a friendship, as I’ve mentioned before. You make time to see them, take time to text or FaceTime, maybe even write a handwritten note (although I know that ages me). If you have 20+ years going then this time can pass and you can pick up where you left off. But if it is a new friendship, in my opinion, the interaction needs to be there in order for the friendship to be sustainable. Recently a mommy friend that I was once close with deleted me on social media. When I first found out I was curious as to why she would do this. Later, I found out she had done the same with another friend. It got me thinking that I hadn’t put any effort into continuing a relationship with this woman, and quite honestly neither had she, so I guess sooner or later it was bound to happen. But it also got me thinking, was she really a friend or was she an acquaintance? 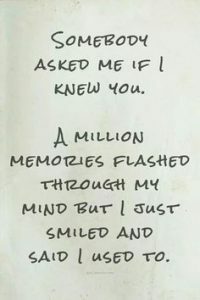 Were we ‘friends’ because of our similar circumstances (new moms) or would we have become close if that wasn’t the case? So how long does it take you to let someone in? What is your guide to calling someone your friend? Would a few interactions count? Would it take more than that? Someone told me at a very young age that I was jaded. Interestingly enough that comment has stayed with me until today some 20+ years later, so I’d love to hear your take. 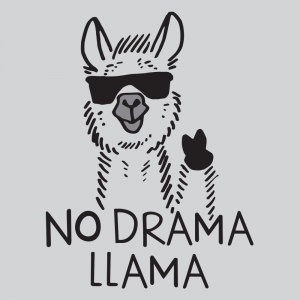 If you’re wondering I didn’t come up with the Drama Llama saying, I’m honestly sure who did but there are some cute Drama Llama tee Snorg Tees. Be sure to check them out. Motherhood isn’t easy. If anyone told you it was they were lying to you. It truly takes a village. I’m not just talking about a village to help mold your little one’s life but a village to help you, the mom, during this ride. You need to be sure that you keep your friends close to you during this time. Whether those are the friends that you’ve had since you were in the first grade, met when you were four at Sunday School or more recently in a mommy group where you commiserated about your kids not sleeping through the night. These women will be your tribe. They will help you in ways that you don’t even realize. They’ll be the shoulders that you’ll cry on when you’re at your wits end and they’ll sit with you over a cup of coffee or glass of wine when you need to just have someone present with you. I’m not taking anything away for your spouse, partner or family. If you are fortunate to have these people present in your life, they are important in a different way. Girlfriends are different. There is an unspoken bond of understanding. They will answer that text at 11pm or 4:30am when you can’t sleep because they’re up too. They will drop by with a Starbucks when you can’t leave because your child has been hit with the latest virus and you’re stuck close to a bathroom. To all of you in my tribe, thank you. It has been a heck of a ride for me so far but I’m just grateful to have you all in my life. Thank you for being a friend. October 11, 2016–I have realized that this post didn’t publish so I am back dating it. October is my month. It has been for as long as I can remember. If you don’t know me personally it is my birth month and I like a big deal made about birthdays. I don’t really care about the gifts, although I’ve never seen a gift I didn’t appreciate, but for me it is more about the cards. A well picked out card can mean more than a $1190 (CND) pair of Gucci flats. This October has unfortunately been full of the phases of life. We met a friends one week old who immediately stole everyone’s heart by entering this world. Later we visited a friend’s two month old who was just starting to get into an every day routine of feeding, cooing, sleeping, pooping, and repeat. And found out two other loved ones were pregnant. These are the happy phases. We remembered loved ones lost both honouring their birthdays and anniversaries. And unfortunately we dealt with sick family friends and went through the phase of life where we lost them as well. I guess this year October for me has been a month of reflection. If you saw my post last week you saw my take on friendship. What about family? What is your take? If you’re like me you have an extended family that you might see once or twice a year, or once or twice a decade depending on where they are. 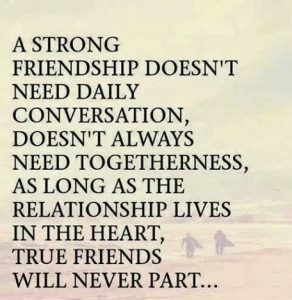 You try and use social media as a way to stay connected and you hope that when you’re together again it makes it less awkward but really are your friends more like family and your family more like friends? 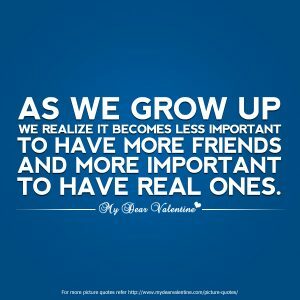 We all have those BFFs that know more about us than we remember ourselves, so certainly we need to keep them close. This usually is the case with a sibling or a close cousin. But what about parents? If you’re lucky enough to still have your parents with you, are you close to them? Have your roles reversed where you’re worried about them because of aging? Do you worry about whether the last time you told them you loved them might be the last time you speak to them? Do you make an effort or do you like many take them for granted because after all their your parents and they’ll always be there for you? As I sit here typing this, the sun still not up yet, waiting for my hubby and little one to wake up, I ponder. Happy Thanksgiving to my Canadian friends. 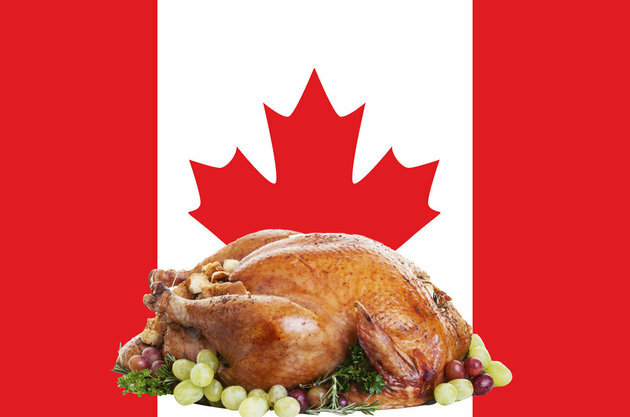 Wishing each and every one of you an amazing day filled with food, laughter and the love of your family and friends. I recently had a friend who is very popular on social media tag me in a photo of us. He stated in the photo that we’ve been friends for 20 years. This photo prompted an acquaintance to message me asking me what the secret was to being friends with someone for so long. I wrote back saying that I actually had friends that went back more years than that and not to sound to cliche but in order to have good friends you need to be a good friend. Friendship should be easy when you’re together. It should be comfortable. But never think for a moment that friendship is without work. The older you get the harder it is to coordinate schedules, spouses, children, jobs, etc. This conversation got me thinking about those people who I know I can count to on anything. The people who if I texted in the middle of the night (because really who calls anymore) would respond ASAP. The people who you don’t have to explain your feelings to because they’ve been through the roller coaster of life with you and they just know so you can pick up where you left off and keep going. I am so fortunate to be able to say that I have a few of those people. I hope they know that the feeling is mutual and they have this friend in me as well. 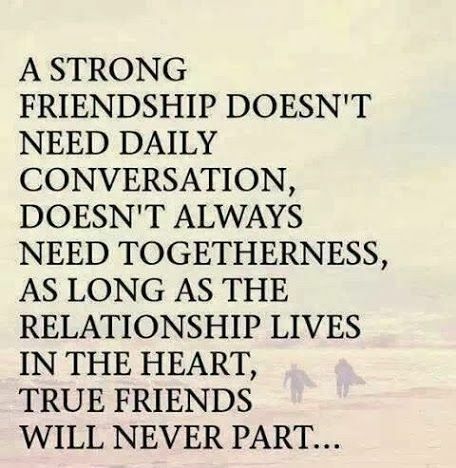 Don’t get me wrong, I have also had friendships slip through my fingers. It seems that every 7/8 years a friend cleanse happens and people go their separate ways. At the beginning it really bothered me. I wanted to know what I did and what happened. Now at this phase of my life I realize that it just happens. People grow apart. People don’t want to put the effort in, and that is okay. I’m a believer when one door closes another opens and I have had many amazing people come into my life since I’ve moved to this country. Nothing can replace those 15, 20, 25 years of memories from my ‘forever friends’ but I can tell you that these newer friendships I have no doubt will be just as amazing. Well that was a fun few weeks! Sorry for not writing recently. As you can tell by my posts I write about recent happenings in our lives. Well the last few weeks have been busy to say the least. The little lady and I (along with my mother in law) went on a road trip to Illinois to visit my best friend from the first grade. We have birthdays just days apart and this one was what I call a milestone birthday. It ended in a -0. Since I knew we couldn’t be together for our birthdays we planned a trip so we could spend some time together. She has three little ones and mine makes four so needless to say the crazy days of partying and staying up all night weren’t happening unless someone with ten little fingers and toes was keeping us up. It was wonderful to see Amanda and her family. During the 10 hour drive back, after having said our goodbyes it got me thinking about friendship and what it really is/means. I am an outgoing person. I am a person who knows a lot of people, or rather because of my unique name, a lot of people know me. I have an amazing group of friends and acquaintances. What does it mean to have a friend to you? To me these are the people I lean on the most. The people I confide in or am able to share a laugh or tear with. These are the people that you know, no matter what, will be by your side through it all. I’ve had the opportunity to have this friend by my side through so many amazing events. We saw each other through the high school years (big hair, puffy prom dresses, basketball games and cheering meets). We saw each other struggle and soar as we made our way through college/university. I recall the last night of my freshman year and something about an exam the next day. Being there when our respective courtships began and seeing the other so happy and in love. Standing by each others side as maid of honor during the happiest day of our lives. Listening and laughing as we went through our pregnancies at the thought of the unknown. Seeing those baby smiles for the first time and knowing that this has changed each one of us forever. And finally having our kids meet for the first time, secretly hoping they got along. Seeing how good her children were with mine (they’re older and sent an amazing example) and seeing how mine could hang with their crew. Through all of this I couldn’t help but feel grateful. Grateful that I had this amazing friend by my side through it all. Grateful that our husbands and kids get along. Grateful that we may have started a second generation of BFFs.